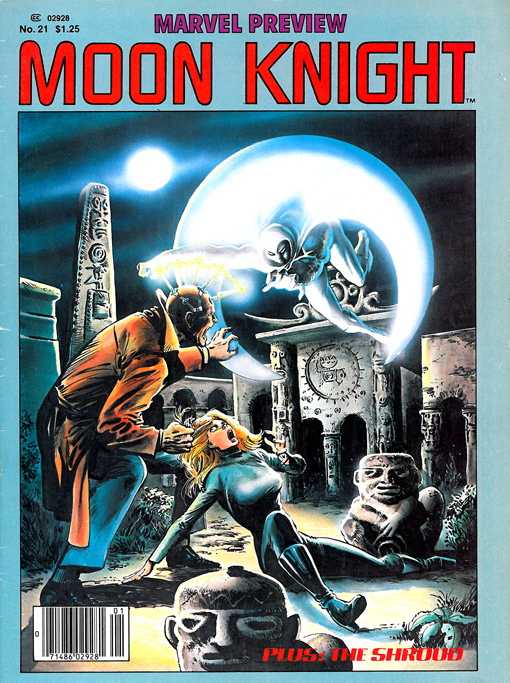 Synopsis: In The Mind Thieves, Moon Knight is drawn into a web of covert operations and espionage when the corpse of one of his former colleagues from the CIA is delivered to Steven Grant's mansion. The investigation takes the hero to Montreal and then to Paris as he tries to unravel the mystery of who is behind the plot to resurrect a discontinued CIA mind control experiment called Project: Cobra. In Walk A Crooked Mile! the Shroud infiltrates the organization of a mobster known as the Crooked Man who enlists the hero’s assistance in an art theft heist caper and ultimately double-crosses the shadowy vigilante.